Now that’s how you keep a wedding private. Deepika Ranveer’s Italian Wedding is one shut shop. 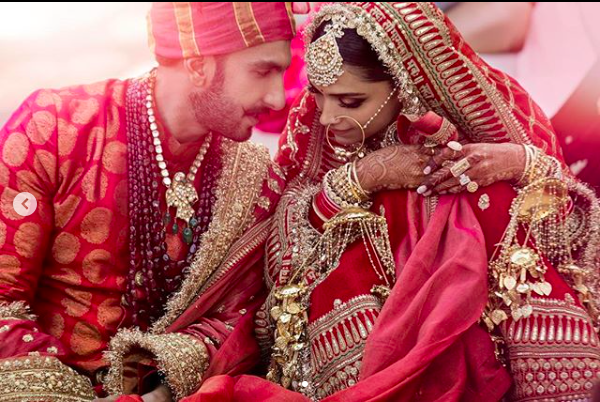 You would think that after Virat Anushka’s wedding or Sonam’s big fat Indian Wedding, Deepika Ranveer would be open to sharing some of their pre-wedding photos. But alas, looks like it’s a tight-knit-no-photography-on-Instagram rule that they seem to be following. But all that doesn’t mean we have got nothing. All day yesterday, I kept refreshing my Instagram search page hoping to see something from Deepika Ranveer’s Italian Wedding at Lake Como. Instead, what I’ve got for you are gorgeous pictures of their venue, their spa retreat and a somewhat estimate of what it takes to book one of these places! Just to be clear, I maybe totally off base here. This research is pretty much based on what I’ve read on the internet about their wedding venues. For me personally, as much as bride and grooms outfits are important, I also have an interest in knowing about wedding decor, venue and all the other important bits that make a fairytale wedding. Ok. the details are a bit complicated. May be it was the ring ceremony that happened in a traditional Konkani style. You see nobody apart from Deepika, Ranveer and their Italian wedding guests can be sure of what happened. But apparently this happened. But what I can show you for sure, is what the Deepika Ranveer’s Italian Wedding on Day 1 Wedding venue looks like. So what does it cost to stay in this luxury spa resort in Italy? I was doing a bit of snooping around, and turns out I found what their penthouse/villa suite at Lake Como costs. A whopping INR 3.85 Lakhs a night! Want to see what it looks like? P.S. Did the happily to-be married couple really stay in this suite? No one can answer that. But no harm in casually admiring the venue now, right? Why am I sharing all these random Italian lake side villa pictures? Well, just because some of us had less fabulous desi weddings, there is no reason one can’t plan a honeymoon or a vacation in this gorgeous property. Just to give you a heads up, rooms at this lake side property start from Euro 400 a night, which equals to roughly about INR 32k a night. Not too shabby for a luxurious holiday stay. Btw, our favourite paparazzi Viral Bhayani has done a full Wedding Guest Accommodation costing for Deepika Ranveer’s Italian Wedding. So I am going to simply take his calculation and share it here with you guys. #DeepVeerKiShaadi fun fact: The couple is staying at a luxury resort near Lake Como where one room costs 400 euros, i.e., Rs 33,000. And they have booked 75 rooms which means they are spending around Rs 24,75,000 per day! Also their family members will be staying there till the 17th of November which makes the total cost around Rs 1,73,25,000 🤩 Now that’s something big! Want to see where Deepika Padukone & Ranveer Singh’s Guests are staying? These rooms and suites do not come cheap. They cost a whopping 1000+ euros ~ INR 85k a night. But you know what, isn’t this what big fat Indian celebrity weddings are supposed to be? I mean commoners are having lavish weddings these days. So seeing something like this truly shouldn’t come as a shock. After all its a part Sindhi wedding. They know how to do lavish! Now coming to some actual inside Deepika Ranveer’s Italian Wedding Decor looks. There were two to three pictures that were circulating yesterday on social media. The whole pre-wedding decor looked extremely western, with gorgeous table decors, lavish floral arrangements all fit for a big fat celeb wedding. No one can really tell if these are the real inside Deepika Ranveer’s Italian Wedding pictures, but for now, let’s just assume it is, and be all ooh and ahh about it, coz it does look like a million bucks. There are some blur images floating on the internet which are a complete white wedding theme. All the guests and close family members are seen wearing white lehengas and sarees for the ring ceremony. Since there are no real clear images, I really didn’t want to add those to this post. But you can easily stalk those on Instagram. As far as Deepika Padukone’s wedding outfits are concerned, I fear it’s going to be Sabyasachi again. Like I so wish we could see some other designer get the job, but 99% looks like it’s going to be Sabyasachi. The Latest News is that the happy couple will share their official Wedding Pictures online at 6 PM today! You know you need to come back to this post to see that.